Celebrate The International Day of Human Space Flight with CREST & STEM Learning! 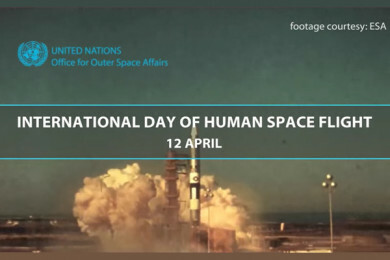 All About STEM have brought together exciting projects & activities from CREST & STEM Learning to help you celebrate The International Day of Human Space Flight on the 12th of April. Scroll down to spark your student’s interest about space! Children Challenging Industry: Is there anyone out there? CREST Bronze Award: How do rockets work? Primary: CREST Superstar – Racing Rockets! CREST is a scheme that inspires young people to think and behave like scientists and engineers. There are many ways to run CREST with your students and so many fantastic activities. STEM Learning have CPD, ideas & an enormous library of resources and activities, click here for more. *Video & image courtesy of United Nations, click here for additional resources. Get involved with CREST Awards!